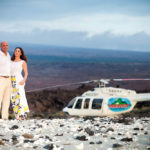 One of the most unique and beautiful places in the world to get married gets even more unique and special when you go to a remote location only accessible by helicopter. There are many helicopter services, but I recommend Paradise helicopter for their professionalism and attention to detail. The helicopter can hold five people and the pilot. 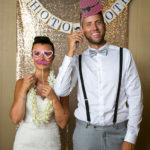 There are many locations around the Big Island to chose from that one a hand full of people have gone to, let along gotten married at. 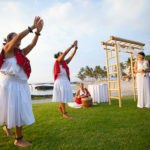 It is a dream assignment for a Hawaii wedding photographer to be able to shoot at such remote places on the island, and I know that the couples I have gone with will never forget the experience. 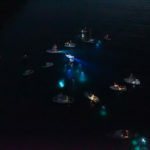 When you charter the helicopter for the wedding it is yours to go wherever is safe and permissible to go. You can even arrange to go to more than one location. Contact me or Paradise Helicopters for more information.